During the carnival of the Dominican Republic, which actually falls on the Dominican Independence Day rather than the Catholic Mardi Gras, paraders don elaborate masks and costumes to represent devils, monsters, clowns, and other characters. Different towns have different traditional masks. 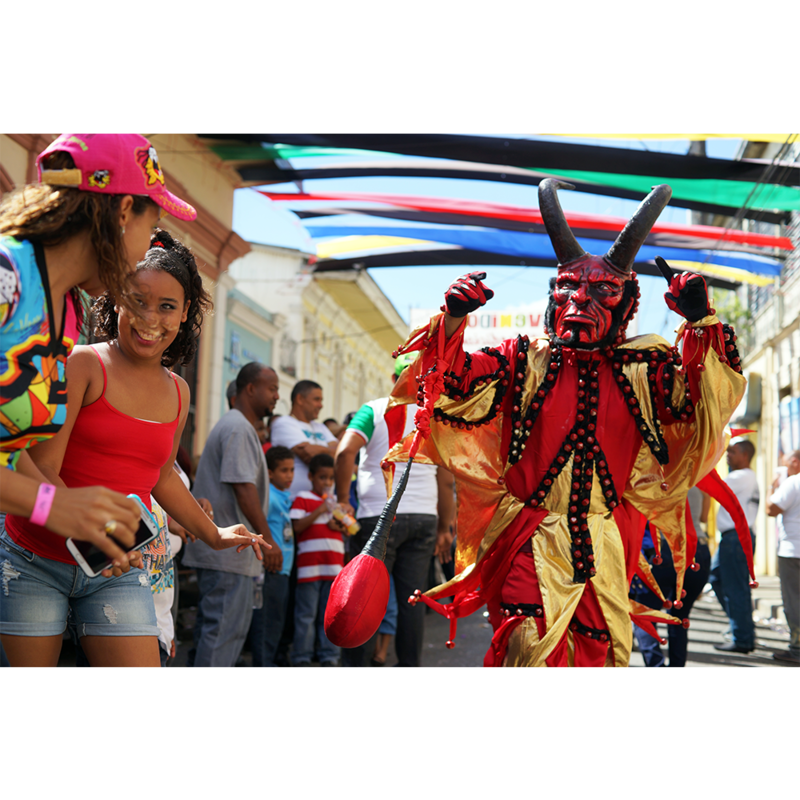 In La Vega, a very large parade involving hundreds of masked marchers takes place every year, prominently featuring characters known as the diablo cojuelo, or “tormenting devil.” These devils carry inflated bladders on a rope (formerly goat bladders, but today mostly rubber) that they use to strike audience members, preferably young women, on the buttocks. The ritual thereby serves the dual function of providing a release for young male testosterone and reminding the audience of the torments awaiting in Hell. 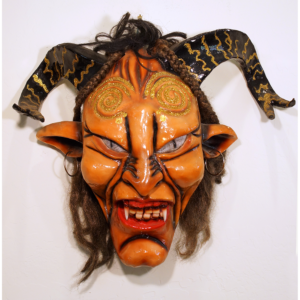 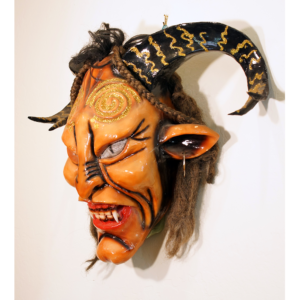 Traditionally, such masks were made of paper maché, but in modern times they have been increasingly made of fiberglass molded around a sculpted model. 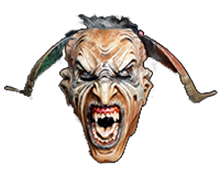 This allows crews of paraders to wear similar masks as a group without the need sculpt each mask individually. Even so, tremendous work goes into the molding, preparation, painting, and adornment of each mask. 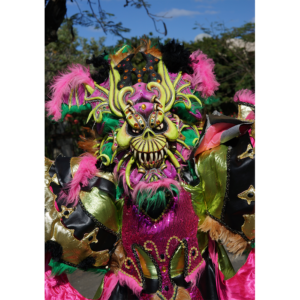 Frequently the costumes require months of hand-stitching as well.